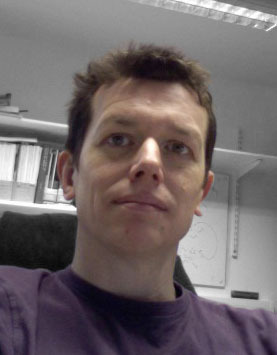 Jonathan Pettitt graduated from Imperial College with an upper second class degree in Biochemistry. He then carried out postgraduate research within the Department of Pathology, University of Cambridge, investigating the structure and expression of collagen genes in the parasitic nematode Ascaris suum. Whilst at Cambridge he was seduced by the many charms of the non-parasitic nematode Caenorhabditis elegans, and upon completing his PhD he went to Bill Wood’s lab at the University of Colorado, Boulder as an HFSPO long term postdoctoral fellow. Here he initiated work investigating the role of cadherins during C. elegans development. In 1994 Dr Pettitt obtained a two year EMBO fellowship to continue this work in the laboratory of Ronald Plasterk at the Netherlands Cancer Institute, Amsterdam, and learn the reverse genetics techniques pioneered there. He moved to the University of Aberdeen in 1996 where he became group leader and Lecturer in genetics within the newly built Institute of Medical Sciences. Dr Pettitt’s research is focused upon the molecular basis of cadherin-catenin complex function during epithelial development.